1) The use of collage and stenciled letters asserts the “flatness of the picture plane” (remember why the formalists insisted on flatness in painting?). 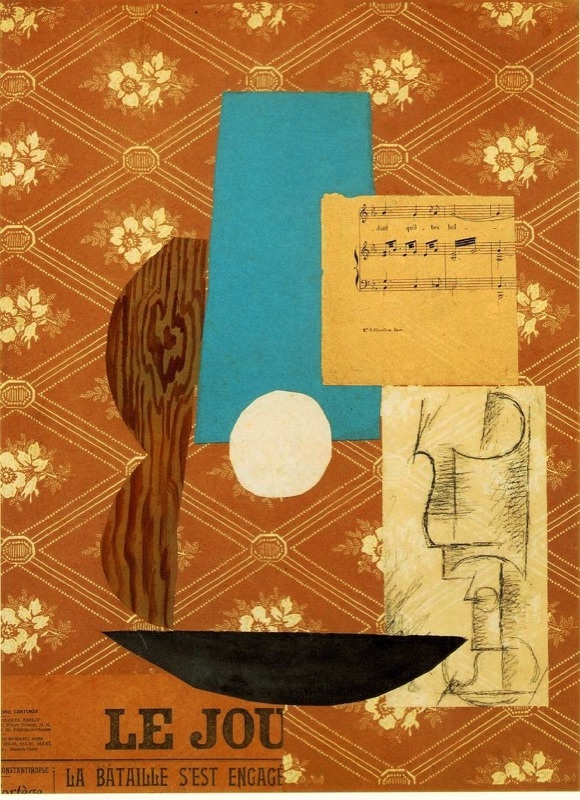 2) The use of collage is truthful to the two-dimensional objects it is used to represent: sheet music is sheet music; newspaper is newspaper (a ‘realist’ explanation). 3) The use of collage irreverently mixes 'low' culture and 'high' culture, calling attention to the rise of consumer culture in modern times -- brand names, advertising, mechanical reproduction, mass media, etc. 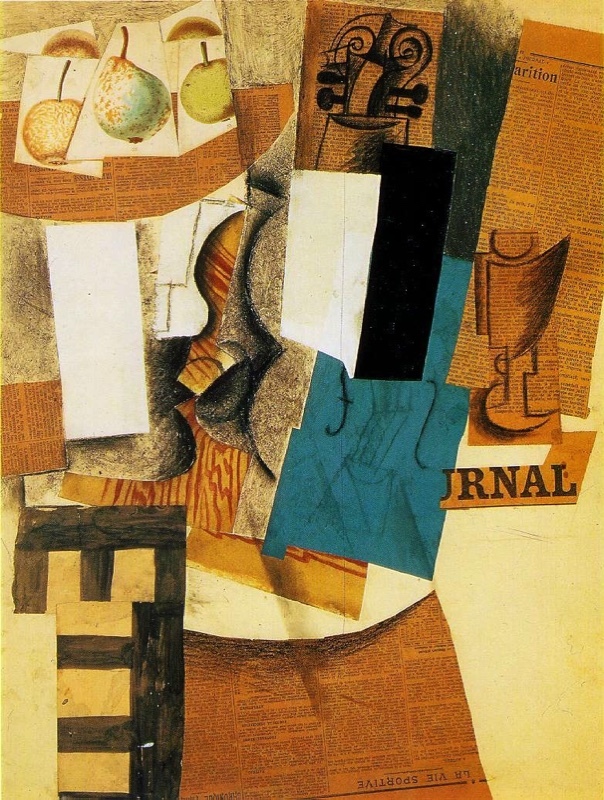 4) Collage reinforces the modern role of the artist as journalist and social critic, as is evidenced by Picasso's frequent use of newspaper reportage on the Balkans war (an explanation that revolves around social agency). 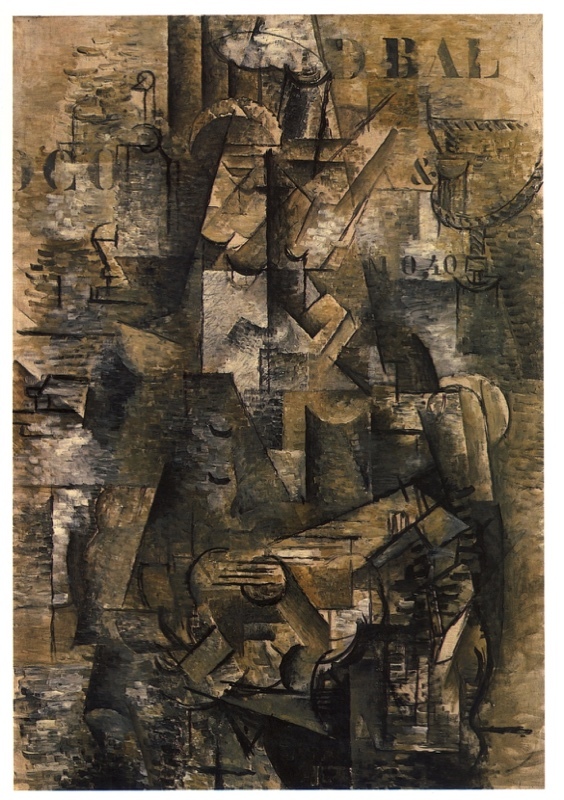 5) Collage was a vehicle for a complex ‘conversation’ between Picasso and Braque that ranged from self-reflexive and complex issues of representation versus reality to silly puns and adolescent jokes.